Devoting her days to taking sick and injured wildlife under her wing, Marg Peachey spent a decade working as an animal carer and shelter manager before starting ACT Wildlife in 2013. The tireless and unpaid force behind the organisation, Marg leads a large group of volunteers who rescue, rehabilitate and release native wildlife. With warmth and commitment, Marg nurtures native animals great and small – from orphaned wombats, wallabies and possums hit by cars, reptiles mauled by dogs and birds caught by cats to flying foxes caught in fruit nets. 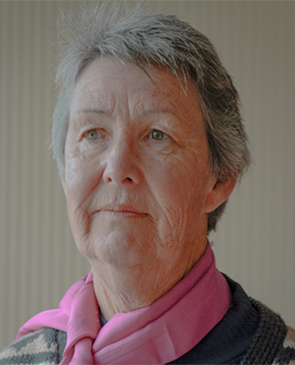 The Chair of the Australian Wildlife Rehabilitation Conference for the last three years, Marg’s wealth of knowledge and hands-on experience has driven her to develop and deliver wildlife training courses for veterinary nurses studying at the Canberra Institute of Technology. A calligrapher and nature photographer, animal educator and wildlife warrior, Marg inspires others to protect and cherish Canberra’s precious native animals.